If you are tired of living in a city and seeing those big buildings and traffic, we can understand your pain. While it’s our compulsion to live in these cities, we can’t experience those beautiful landscapes out there in the world. Also, the matter of the fact is there are so many amazing places in the world that we don’t have any about those places. Our world is a beautiful place and we need to preserve it. Moreover, if you love to travel you are going to enjoy this post more than anyone in this world. As they say “We travel not to escape life, but for life not to escape us”. Today, we have prepared a list of top 10 most amazing places in the world that probably you haven’t seen before. Check out the list below. Referred as the “Gateway to Hell”, Erta Ale is one of the driest and lowest places on the earth. 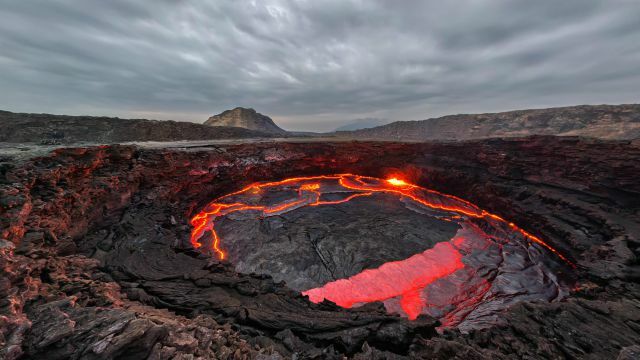 Moreover, it’s home to the longest existing lava lake. It is situated in the Afar Region of northeastern Ethiopia. Also, it is one of the hottest regions on the planet earth. While it’s not possible for a lava lake to exist for so long, Erta Ale is a constantly active basaltic shield volcano known since its discovery in 1906. We know it’s kind of scary, but this place surely deserves a spot among other amazing places in the world. If you want to know what it’s like when mother earth turns artist, then check out these Rainbow Mountains in Zhangye Danxia, China. These mountains are located near the city of Zhangye in China’s northwestern Gansu province. 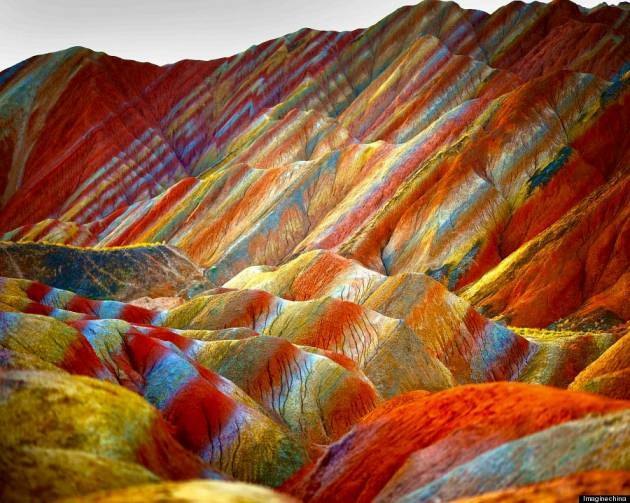 Also, Rainbow Mountains are also called as the China’s version of Grand Canyon. While this beautiful place has been voted as the most beautiful landforms in China by China media Outlets. Because of the colours over these mountains, it is recognised as the UNESCO World Heritage Site and also, one of the most amazing places in the world. 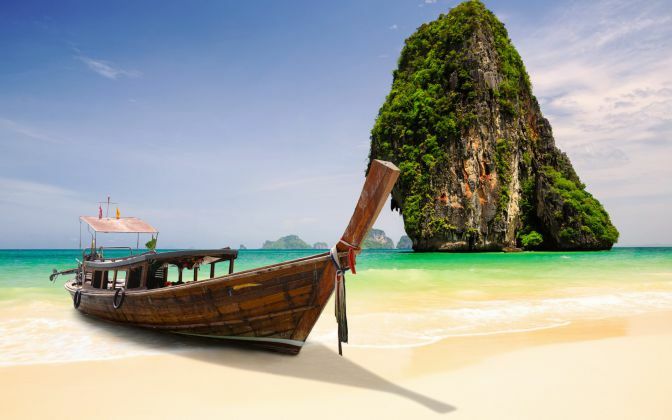 Railay is a small peninsula surrounded by the warm Andaman Sea, lush jungle, and twisted rock. While the coast in the south of Thailand is a luxurious tropical paradise, it has turned to a favourite tourist spot in the recent years. In addition, it is accessible only by boat due to high limestone cliffs cutting off mainland access. If you visit there anytime soon, the first word that’s gonna come out of your mouth is “Amazing”. 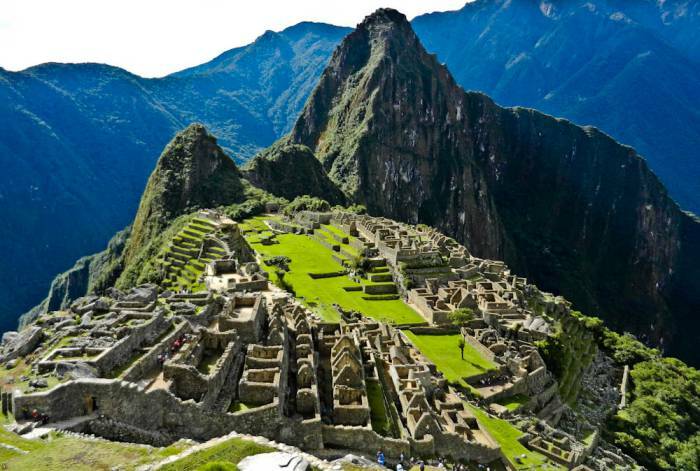 Build in the 15th century by then Incan Emperor Pachacútec, Machu Picchu is a city in the clouds on the mountain. It’s a marvel of mortar-free limestone architecture perched on a high plateau deep in the Amazonian jungle. No wonders that is one of the most visited sites in the Peru. Also, it’s so amazing that it was voted one of the New Seven Wonders of the World in a worldwide Internet poll back in 2007. 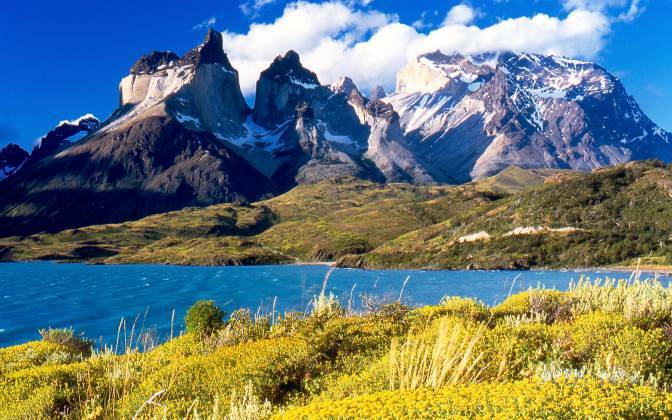 Basically, Torres Del Paine is a national park encompassing mountains, glaciers, lakes, and rivers. It is located in the Chile’s southernmost and largest region, Magallanes and Chilean Antarctica. The park has been elected as the 5th most beautiful place in the world by the National Geographic. Many believe that it is still the most amazing place in the world. 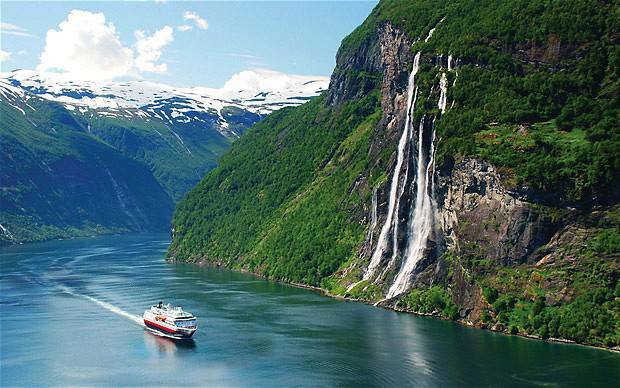 Surrounded by the majestic, snow-covered mountain peaks, beautiful waterfalls and lush green vegetation, Geiranger Fjord has plenty to offer for the nature lovers. It is located entirely in the Stranda Municipality. It was also listed as a UNESCO World Heritage Site in 2005. Moreover, the place is home to some of the magnificent waterfalls on the earth namely Seven Sisters Falls. Having so much to offer, it certainly deserves to be among the most amazing places in the world. Located in Southern Africa on the Zambezi River at the border of Zambia and Zimbabwe, Victoria Falls are surely among the most beautiful waterfalls on this planet. 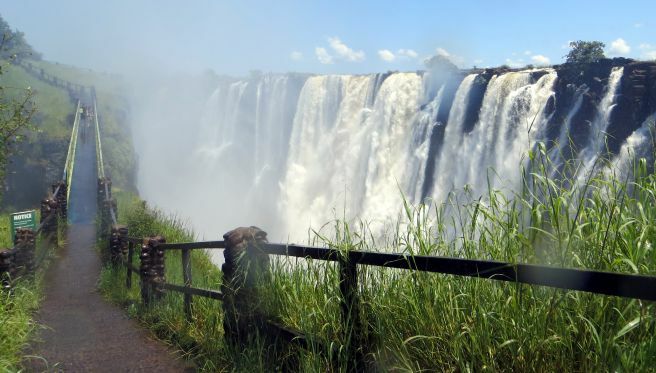 Moreover, in modern times, Victoria Falls are referred as the greatest curtain of falling water in the world. You can experience a beautiful sight at a special vantage point across the Knife-edge Bridge. A naturally formed “Armchair” (sometimes called “Devil’s Pool”) near the edge of the falls on Livingstone Island is often visited by the tourists. Salar de Uyuni is the world’s largest salt flat with an area of 10,582Km2. It is located in the Daniel Campos Province in Potosí in south-west Bolivia. The Salar was formed as a result of transformations between several prehistoric lakes. 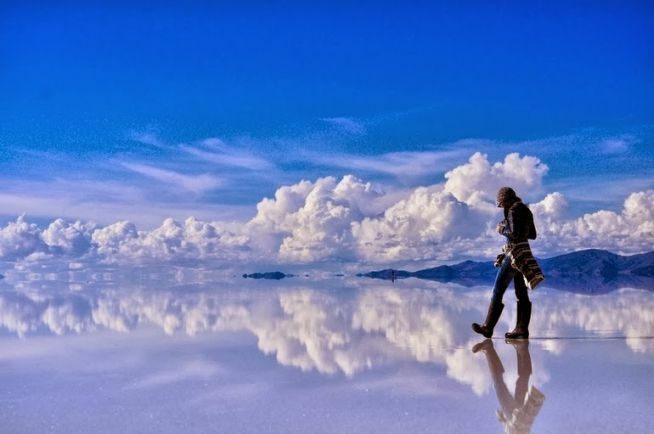 Often called as the world’s largest natural mirror, it is voted among the most amazing places in the world. Mendenhall Glacier is a glacier about 13.6 miles long located in Mendenhall Valley. 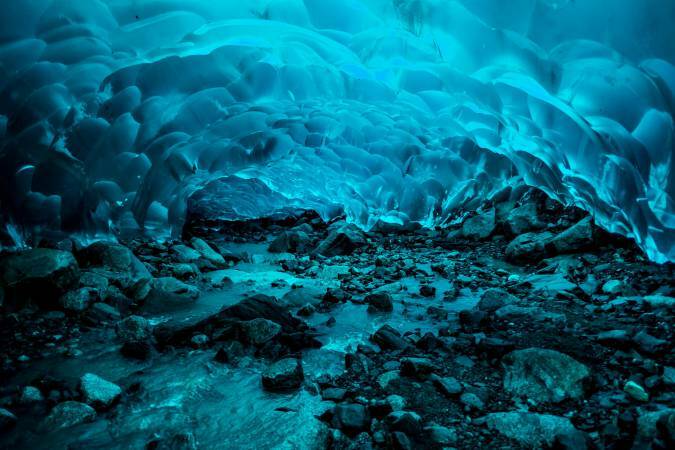 You will go speechless once you saw these breathtaking ice caves inside the glacier. However, the glacier is retreating rapidly as global warming heats the oceans and temperatures rise. In addition, images of these ice caves are circulated on the internet with captions such as “amazing”, “beautiful”, “surreal” and many more. Finally, it’s time to reveal the best among the most amazing places in the world – Tulip fields, Netherlands. 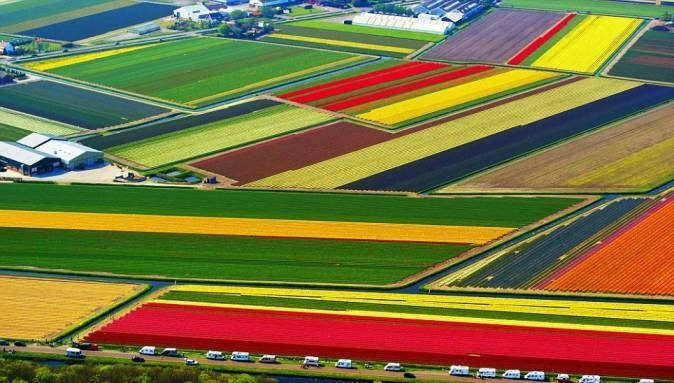 These Holland Tulip fields are so beautiful that they will take your breath away. While the striking colours of the flowering tulip bulbs are a typical sight in Holland during the spring. The bright pink, red, yellow and blue colours are so overwhelmingly beautiful that we couldn’t resist putting this place on top of the most amazing places in the world. Also, let us know which of these amazing places in the world you liked the most.